The treasure trail expansion is here! If you consider yourself to be a champion of clue scrolls in Old School, the master tier is for you. You can get your hands on this elusive clue scroll in one of two ways: as a reward from other clue scrolls or by handing one of each tier clue scroll over to Watson found on Zeah. Once you have managed to get a master clue scroll, the real challenge begins! Master clues incorporate a number of brand new challenges for you to get to grips with. 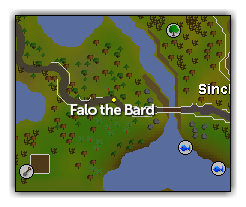 One of the many new challenges you'll encounter in a master clue scroll is Falo the Bard. Falo is a forgetful musician who has written songs about various objects found throughout Gielinor. Unfortunately, he can't always remember which particular object a song is about. Falo will give you some lyrics which you must use to work out which object he is singing about. Bring him the item and you will complete the clue. The hot/cold puzzle is one that is very simple in nature. When given a hot/cold clue you will be required to use a device which tells you whether you are hot or cold. The closer you are to the clue location, the hotter you get. To make this a bit more challenging, every use of the device deals you a small amount of damage! Be careful, as the device can kill you. Puzzle boxes found as a part of a master clue offer some new images for you to complete, featuring some familiar Old School faces. The lightbox puzzle will display lights and buttons in an interface. Each button turns on a subset of the lights. Your goal when completing this puzzle is to get all of the lights to be turned on at the same time. The existing tiers of clue scrolls have received a substantial expansion as a part of today's update. We've added a plethora of new clues and rewards, alongside a couple of new types of challenges to complete! 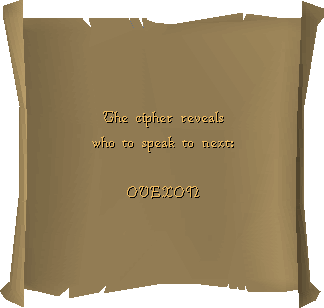 Ciphers are an example of a new type of clue available in medium and hard clue scrolls. These clues will give you a set of letters, from which you will have to find the next location. With many new potential rewards, as well as some new and exciting challenges to take on, now is the time to grab that clue gathering dust in your bank and get to hunting your loot! Of course, with so many new challenges to overcome we have massively expanded the possible rewards available from clue scrolls. 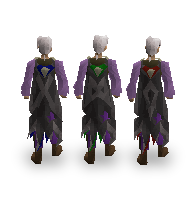 Master tier clues aren't the only ones getting new rewards, with all of the lower tier clues getting many new additions to the drop tables. You can expect to see trimmed steel, gold aprons, and a whole host of other interesting new gear! Master tier clue scrolls offer the chance of receiving many new rewards, including the new 3rd age axe and pickaxe! 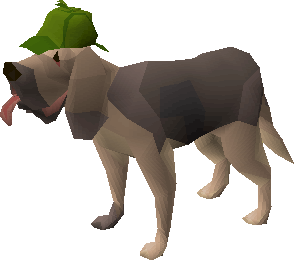 You will also have a very slim chance of receiving a bloodhound pet when completing master clue scrolls. This pet will definitely make the perfect companion from avid clue hunters! There are hundreds of new rewards now available from clue scrolls. Be the first to get your hands on some of the interesting new equipment! Lucky implings can now be found roaming around Gielinor. These implings can be caught by players with level 89 Hunter, or level 99 Hunter when being caught bare-handed. Upon being caught, lucky implings give you one roll on the clue scroll drop table. It is now also possible to receive clue scrolls when mining and woodcutting! If you see a nest drop beside you that seems to have a scroll inside it, you might just be on your way to some treasure! 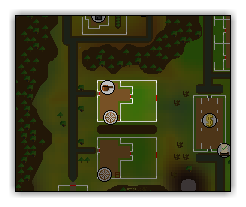 Hidey-holes, useful storage locations where emote clue equipment can be safely kept, will be coming to Old School in next week's update. Unfortunately, we didn't quite have time to get them in with this week's update, but thought you'd like to get stuck in with all the new clue scroll content in the mean time. You should have plenty on your plate with hundreds of new clues to get through! Evil Dave has expanded his list of items which he considers evil. 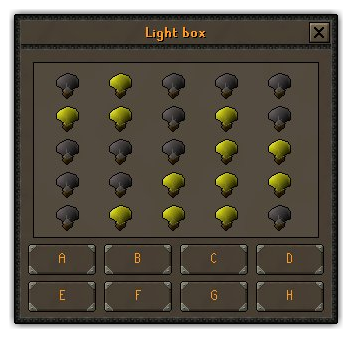 Improved logic for obtaining the Lumberjack drops during Temple Trekking. Hopping over the Lava Dragon Isle shortcut no longer negates damage. The following Deadman Seasonal worlds have been reverted to normal: 313, 317, 357, 360. Increased the click zone on Castle wars flags during a game. Pathfinding around portals in Pest Control has been improved. Adjusted prices of some untradeables following user feedback. It is no longer possible to complete an easy Varrock task at Lumbridge fishing spots. The item value in the Items lost on Death interface has been moved. Moved Toby in Varrock so he is no longer in a PvP hot spot. Removed some dialogue from Peer the Seer when depositing items. Special thanks to the following players who contributed to the treasure trail expansion. Winners of the competition will be contacted later today via the RuneScape message centre. 90 Firemaking? Panic buy maple logs. Always love clue scrolls, so I'm very happy with this expansion. It looks amazing.